A company's culture is and always will be, the root of all growth, innovation and momentum. In other words, cultivating a strong company culture sculpts strong teams, empowers individuals to apply their passions to a communal vision and encourages the open transparency crucial to engendering and sustaining a collection of flourishing, synchronous and diverse minds. Warrick, goes on to highlight that “cultures are like precious and prized treasures” that need to be maintained to dazzle. But a strong company culture is more than just a treasure — it's a living organism that when exercised and nourished, can be the most valuable strength a company has. Why? Because it can breath new life, inspiration, and passion into your company and your people every day. Maintaining the culture of a start-up or small scale company is one thing, but keeping it healthy as a company grows is another. A growing company's culture may be susceptible to weakness, downfall and neglect due to scaling operations, scarcity of resources, changes in management, etc. Here are three ways to ensure that your corporate culture stays healthy as your company scales. 1. Base your company culture in an easily replicable, transportable, people-focused tradition. Right from the start, basing your company culture in a tradition is a great way for the underpinnings of your culture to scale accordingly. Furthermore, rooting that tradition in your people will ensure it's scalability. Your people alone will be the fuel of your culture. At Wve Labs, our cultural tradition, capable of traveling anywhere we might expand to, centers around storytelling. Two years ago — when we had just five employees — I decided to incorporate storytelling into the core of Wve to heighten human connection, collaboration and closeness. Hearing and telling stories empower our people to be themselves, to grow and to share. We are now a workforce of 85 with offices in four countries, and storytelling is still going strong. Each week, our teams meet within their respective offices and tell stories about interesting client interactions, exceptional experiences with other employees and personal learning takeaways. At the end of “story time,” we collectively vote on our favorite story. That story is then pushed out and shared with our other offices. This way, our culture transverses the boarders and oceans that divide our workforces. Practicing storytelling keeps positive energy high within the office, eagerness to work hard spry outside the office and overall extraordinary international culture alive throughout our brand. Tell stories, ring a bell to celebrate achievements and milestones (as seen in The Intern), start a company holiday. Create a tradition as focused on your people because it is scalable. That way, as long as you have people, your culture will thrive. 2. As you expand, understand the culture outside of your company culture. Failing to do so might just kill your company culture altogether. 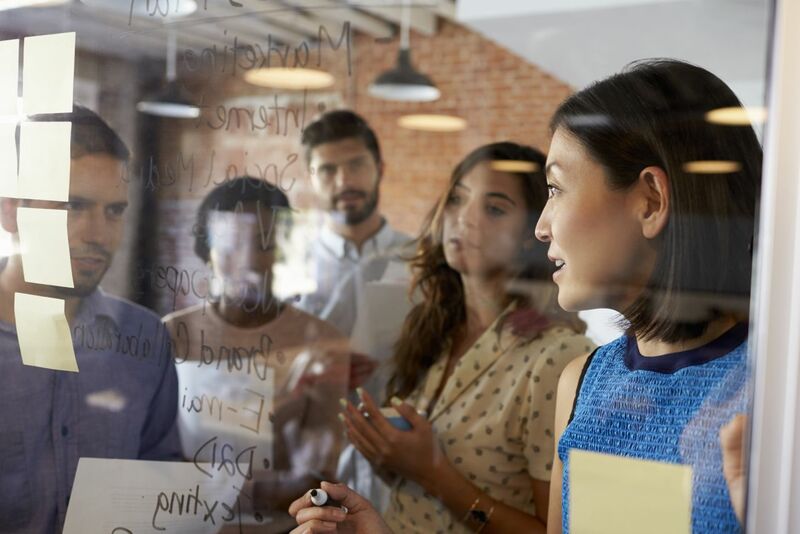 An article published on Innov8 points out that "one of the biggest downfalls of corporations is not recognizing the importance of understanding culture when operating a business." Culture outside of your business, that is. Consider cultural characteristics like gender roles, decision making processes, values, unaccepted behaviors, etc. Understanding the life and motivations of the new people who will soon become part of your own company culture will facilitate smooth integration no matter how fast you scale. In just six months, Wve Labs expanded from Los Angeles to the U.K., Hong Kong and India. All of a sudden, we found ourselves in three very new cultures. In each location, we made sure to open the dialogue around both our company culture and the culture we scaled to. We turned to our new team members and learned from them. Culture is magnetic. It has the ability to pull impeccable people into seamless collaborations. Anytime your business grows, it’s important to figure out what attracts and what opposes. That way, you’ll minimize any possible growing pains. 3. Build a team of culture guardians. Designate particular individuals within your company to keep an eye on everything culture within your company before, during and after scaling. This is a surefire way to gauge the expanding health of your corporate culture. Often times, these individuals will present themselves on their own, so be on the look out. They may come to you or one of their superiors with ideas on how to enhance performance, workplace culture or happiness within the company. These are the people you want on your team of culture guardians. Encourage this team of culture caretakers to communicate, educate and demonstrate the cultural ideals of your company. Since they embody everything your company culture stands for already, radiating and spreading those feel-good, community-based and meaningful-work vibes will come naturally. As your company expands and new hires come aboard, your culture will stay strong. Take Google, for example. Google constantly maintains and alters their culture because it’s key to their success. Google knows that all business starts with people, as does company culture. They know their people are their culture. Every Google employee is their very own culture gaurdian. If your business is growing fast, and you feel your culture might be at risk, implement a tradition capable of scaling. Focus on your people. Look at culture from a holistic approach. Empower employees to contribute to, shape, change, transform and cultivate company culture. If you do at least one of these things as your company scales, there’s a good chance your company culture will flourish at the same rate.